← Hero Rizuan Kauhinin Wants To Meet The Boy He Rescued. Any Takers? We would expect a hospital, especially one specialising in childbirth would install state-of-the art security system to prevent child kidnapping. But nooooo. At least not at Kandang Kerbau (KK) Hospital, once the world’s largest maternity hospital. A system engineer was sentenced to 42 month’s jail for stealing more than $351,000 worth of backup network components from KK Women’s and Children’s Hospital. 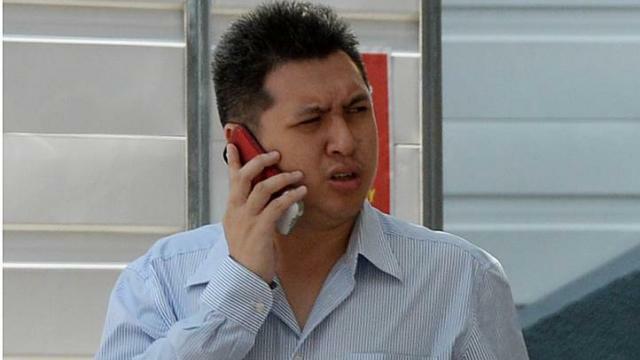 Michael Lin Weihong, 31, admitted to four charges of theft in dwelling, with seven others taken into consideration. He committed the offences between Feb 20 and May 5 last year, shortly after his former employer Integrated Health Information System sent him to the hospital to help upgrade the existing network connectivity infrastructure. Using the same modus operandi each time, Lin would delink and disconnect the main network system from the backup components with his work ID. He then physically removed backup parts such as network switches. When the removal of backup components triggered an alarm, Lin would respond and report that it was a false alarm. To cover up the thefts, he also volunteered to do routine checks on the network components in KK Hospital and reported to principal engineer Lim Kock Tuan that nothing was amiss. Mr Lim only realised network components were missing when he did a maintenance round on May 7, 2014. A check on the electronic system logs turned up Lin’s ID performing a deactivation programme.